Long trips, late deliveries, un-organized trips, all a part of the Fleet Management game and the results are even more upsetting; financial loss, reputation loss and dissatisfaction at its best on the other end that could even result in losing your client base. Assign your vehicles/personnel with a timetable for them to follow; get alerted if they violate the schedules. 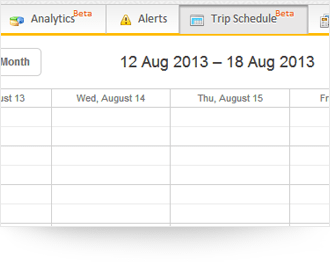 Sunrise Tracking’s trip schedule is now available in easier way to understand & fast to schedule and act upon. Just a quick look on the calendar is what required in identifying & understanding your fleet schedule for a month. 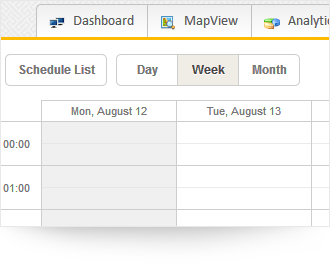 Simply click on the starting time/day (Schedule’s start) on calendar and drag to the ending time day to form a schedule. Assign time stamps (starting & ending times) along with the locations (integrated POI’s), schedule way-points and optimize routes thereby optimizing vehicle usage and improving driver productivity. 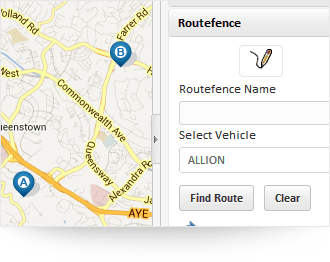 Route fence is integrated to this module as to verify if vehicle/driver is following the schedule & route as required. Manage running time of your vehicles by setting up a scheduled trip plan (What time should the vehicle leave start point, what time should it reach end point etc) and get to know immediately when schedules are compromised/violated. 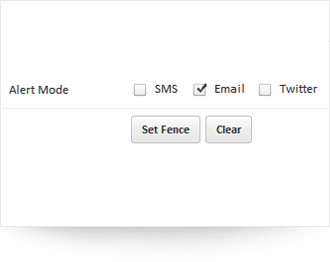 Alerts on violated schedules can be received through SMS, email & twitter depending on the preferences that you set.